Throughout the year, as a community, we offer prayers and masses for the faithful who have departed from this life. 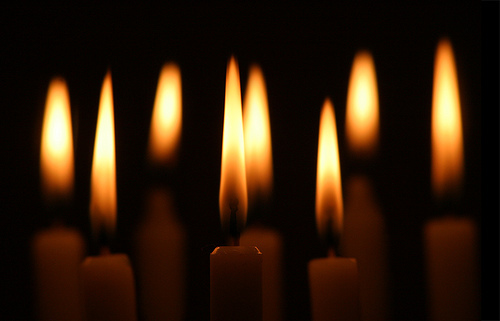 The month of November is specially dedicated as the month of prayer for those who have died. During November members of our community will be especially remembering their own loved ones in their private prayers and reflection. As well as at every mass we also have the following services to remember those people who have died this year. There will be an ecumenical service at The Church on Oakwood on Wednesday 11th November at 7.30pm to remember those who have died during this last year. On Sunday 15th November, 2pm at St. Aban’s Chaddesden, there will be a service to remember those who have died, particularly from our parish community during the last 12 months. There will be refreshments afterwards in the Parish Centre. (Please note that our Newsletter gave this as Saturday which was incorrect). This entry was posted in Parish Events and tagged holy souls. Hope, Joy, Love and Peace…these are the ‘real’ gifts of the Season..